I review many PDF's and sometimes I want to save the PDF to Evernote. I looked for a quick solution that was nice and simple. Based on some quick googling, it looked like you could Print a PDF to Evernote but I didn't have that option for some reason. I found that if you downloaded Evernote straight from their site the option was there. If you downloaded from the App store like I had then you didn't have the option due to sandboxing. I found some references on how to create this option but I didn't see a straightforward How-to. Go to your Applications Folder and find Evernote. Right Click on Evernote (Or click on the File tab as shown) and select Make Alias. You'll see a file added called Evernote alias. You'll need to move the file to ~/Library/PDF Services. Open Finder and click on the Go tab. Click on the option key on your keyboard and you'll see Library folder pop up in the list. Enter the folder. If you don't see a folder called PDF Services in the Library folder, create it. Move the Evernote alias you created earlier to the PDF Services folder. 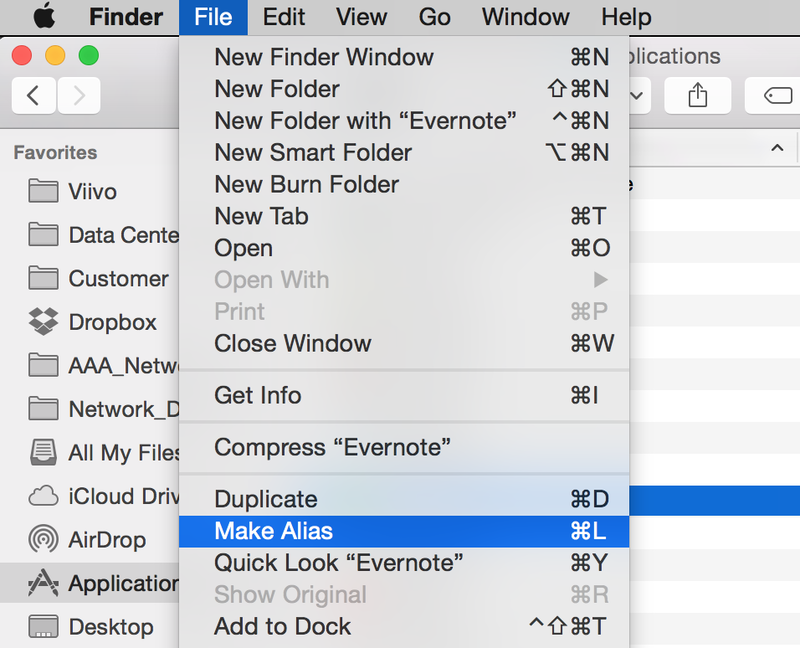 Rename the alias file you just moved to Save PDF to Evernote. That's it. 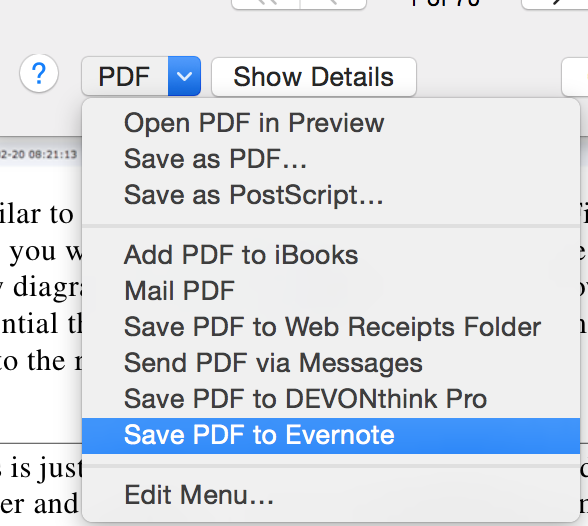 You should now be able to save PDF's straight to Evernote. Open a PDF. Go to File - Print (⌘P). Click on PDF in the bottom left and you should see Save PDF to Evernote. I love how Evernote just seamlessly integrates with seemingly everything I use. I mean heck, using Evernote is easier than trying to force quit Mac apps.